Makes our CSS very maintainable by allowing for easily creating logical folder structures, variables and reusable mixins. Definitely nice to be able to nest your styling and not have to have separate blocks of CSS. We’re using a lot of media queries to make the site responsive. All of our CSS is written in SCSS, Sass's CSS-like syntax. Variables, functions, mixins, and nesting are simply heaven compared to plain CSS. You still write CSS without?? SASS is better than CSS. You can read what is going on. Sass is what CSS should have been. We use Sass to keep our stylesheets organized and to reduce duplication, making changes way easier. 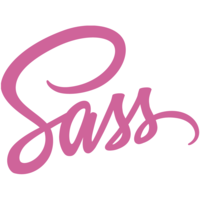 We write all of our styles in SASS and compile them using Grunt. Sass is being used to keep our stylesheets organized in addition to the typical use cases (variables, mixins, functions, etc). CSS is a mess. There, we said it. Sass, on the other hand takes CSS and makes it pretty, easy to work with and has stuff like variables which make things seriously awesome.